Sales of new cars in Spain rose 12 percent in November as buyers continue to shake off economic worries. Registrations increased to 104,170, according to industry association ANFAC. Sales to private customers increased 13 percent during the month. This follows 11 percent growth in October. "Families are now less cautious in spending as confidence is back to pre-crisis levels and consumer credit is close to 2007 figures," said Lorenzo Vidal de la Pena, president of dealer association GANVAM. Sales growth was balanced in all sales channels. Demand by companies rose 8.8 percent and registrations by rental companies jumped 21 percent. Registrations in Catalonia rose 7.2 percent in November, up from a 4.6 percent increase in the previous month, despite political tensions over the region's bid for independence from the Madrid central government. Renault remained Spain's most popular brand, with sales rising 12 percent. No. 2 brand Peugeot saw sales jump 25 percent. Opel was third with a 15 percent increase. Spanish brand Seat took fourth place with 13 percent growth. VW brand was fifth despite registrations dropping 12 percent. Asian brands had mixed results. Kia sales rose 38 percent and Toyota's volume increased 21 percent. 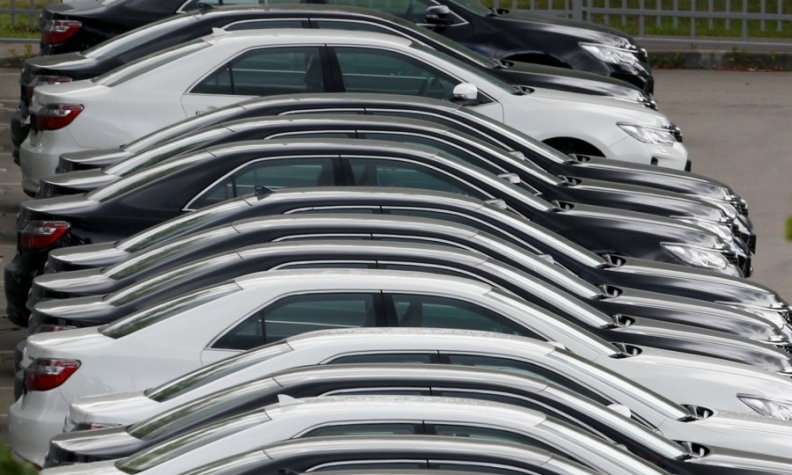 Growth at Hyundai was 5.9 percent while Nissan's volume crept up by 1 percent. Download PDF, above right, for Spain sales by brand for November and 11 months. Among German premium brands, BMW registrations increased 13 percent, Audi's 10 percent and Mercedes-Benz 2.4 percent. Market share of diesel cars fell to 44.6 percent in November from 56.1 percent in the same month last year, the lowest share so far this year. Diesel share is down to 48.7 percent in the first 11 months from 56.9 percent in the same period of 2016. Overall, Spanish registrations are up 7.8 percent to 1.13 million in the first 11 months. Full-year sales will likely close at 1.2 million, in line with previous forecasts, ANFAC spokesman Adolfo Randulfe said.